We love to hear from our water loving friends and family! Whether you own your own Magnum Marine beauty, spent the day on a friend’s yacht or just ogled one in the marina – we’d love to hear from you. Visit our Facebook Fan Page and leave a “Review” – CLICK HERE! 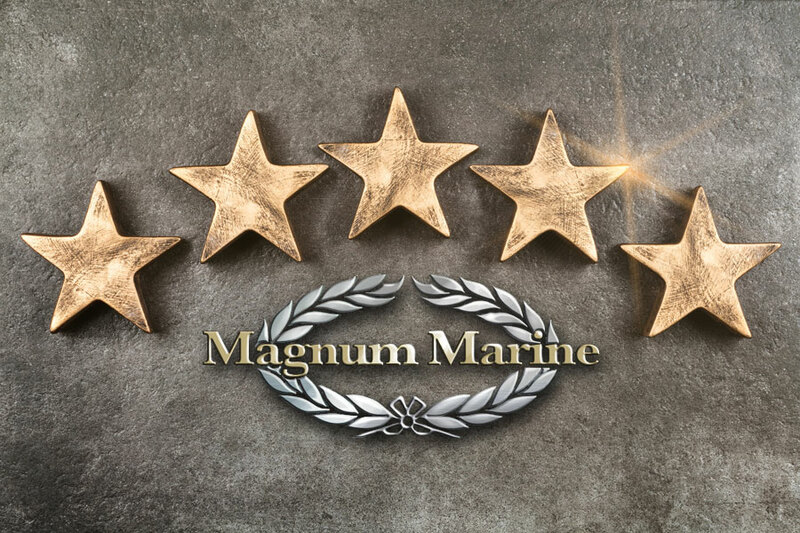 In the meantime, check out these fans that gave Magnum Marine Five-Star Reviews in 2018! Quality, Luxury & Performance. By the way did I mention Performance? “I just bought some Shirts and Key Floats and a few other things from Lynn at Magnum Marine. What a wonderful person! I really enjoyed talking with her and she went out of her way to send me some info on my boat, on her own. Many Thanks to Our Fans Who Gave Five-Stars (so far) in 2018!